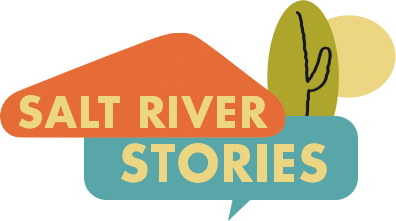 As the city was developing, floods regularly occurred along the Indian Bend Wash, which runs through central Scottsdale. 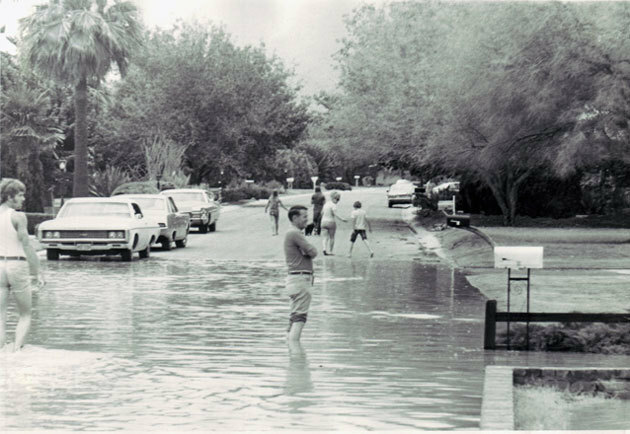 On June 22, 1972, the Indian Bend Wash backed up behind the Arizona Canal (shown here at Bonita and 74th street) causing the most disastrous flood in Scottsdale's history. With the help of the Army Corps of Engineers, the city developed a four-phase plan for flood control. In addition to reinforcing the canals, the city created the Scottsdale Greenbelt, an eleven-square-mile recreation area with parks and golf courses that doubles as a floodway.